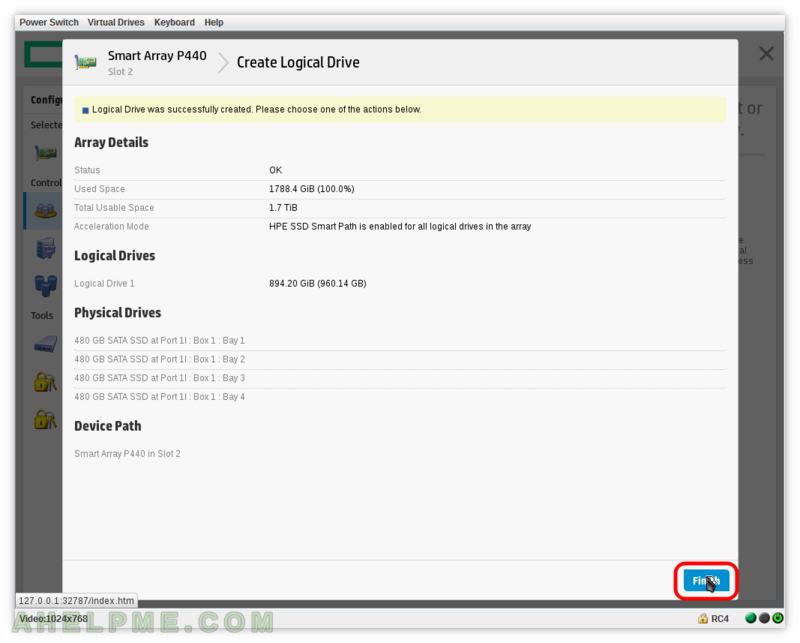 Smart Array P440 – create RAID 1+0 (RAID 10) using Smart Storage Administrator | Any IT here? Help Me! 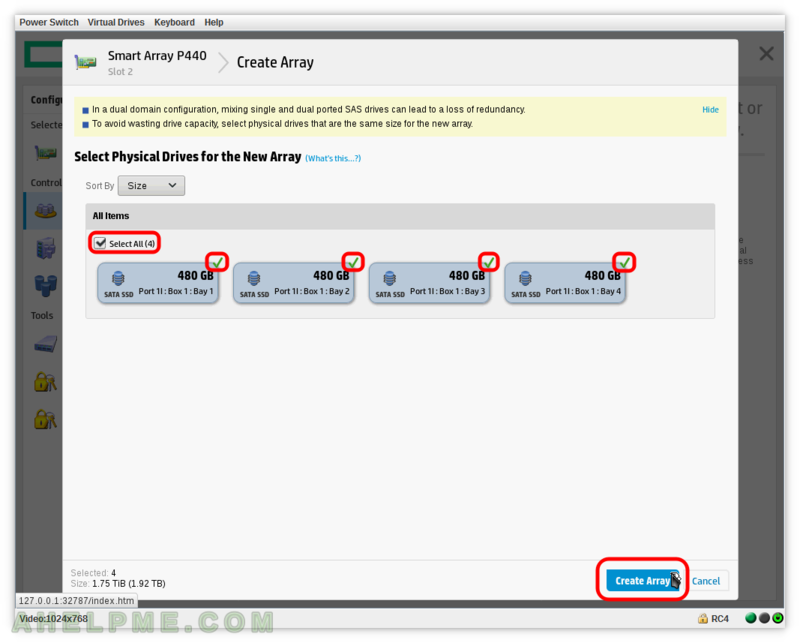 STEP 3) Set various features of the array – RAID Level to RAID 1+0. Choose wisely your Strip size according to your workload. Here we selected 1024 KiB and the Full Stripe Size is 2 (selected disks -2 for the two mirrors) x 1024 KiB = 2 MiB. The size of the array, you could choose less than the maxium and then to create another array (even with different RAID Level than this one despite using the same disks). 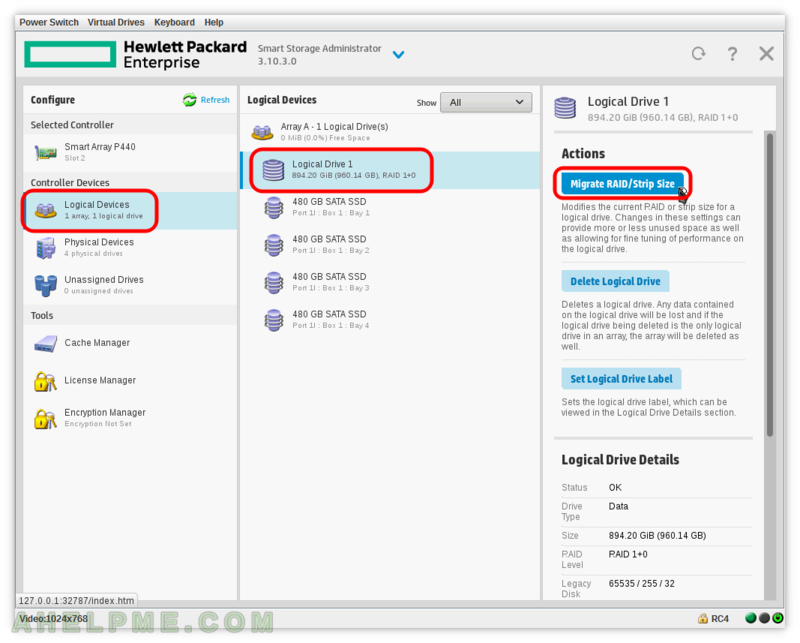 Select “Do not perform SSD Over Provisioning Optimization on the Array” if you do not want to zeroing your devices before using them and click on “Create Logical Drive” button. 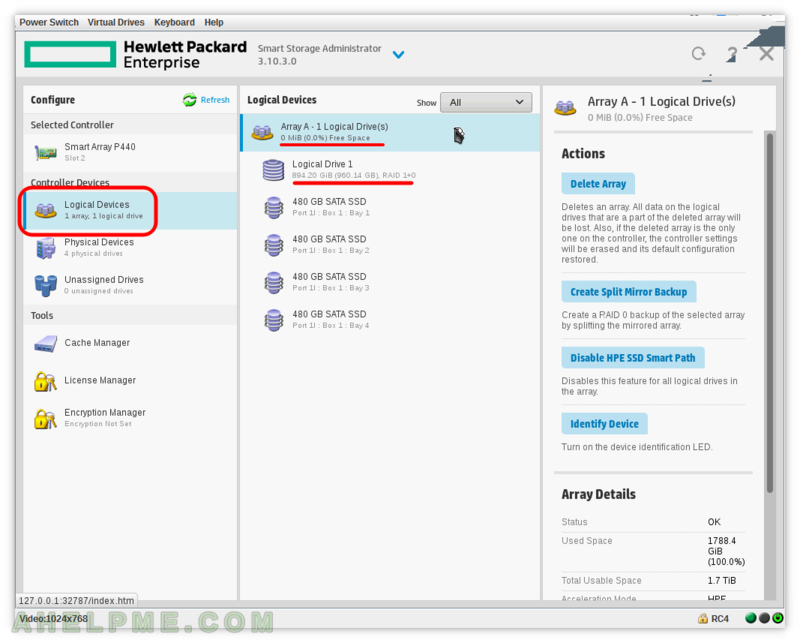 STEP 4) Logical Drive on the new array was successfully created. 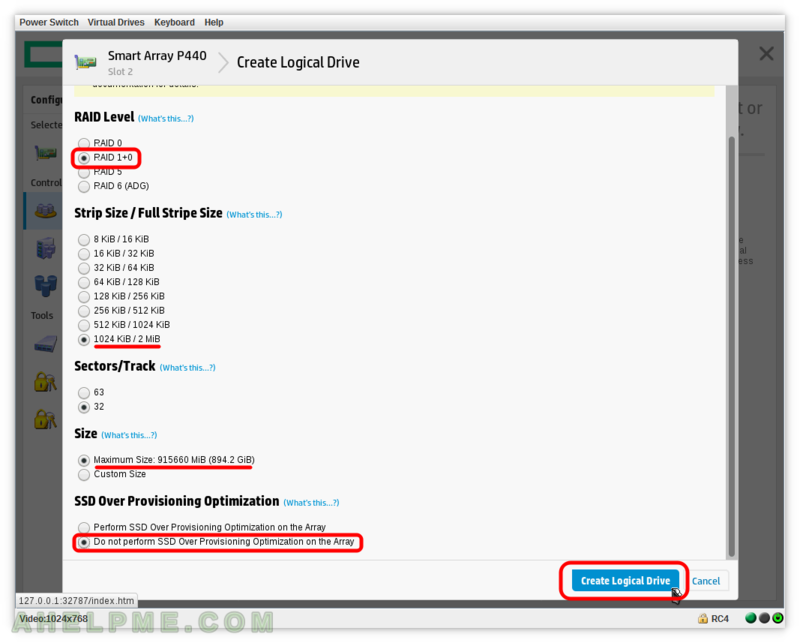 STEP 5) Overview of the Array and the Logical Drives. 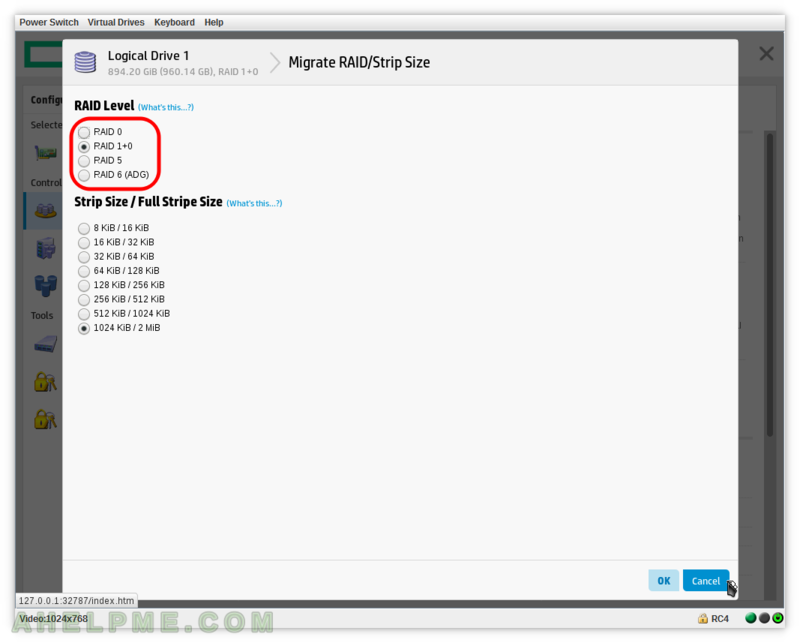 RAID 1+0 uses less space than RAID 0 or RAID 5 or RAID 6 (in fact, the space equals to RAID 6), that’s why you can transform RAID 6 to RAID 0 or RAID 5 or RAID 1+0 (on-the-fly without losing data). 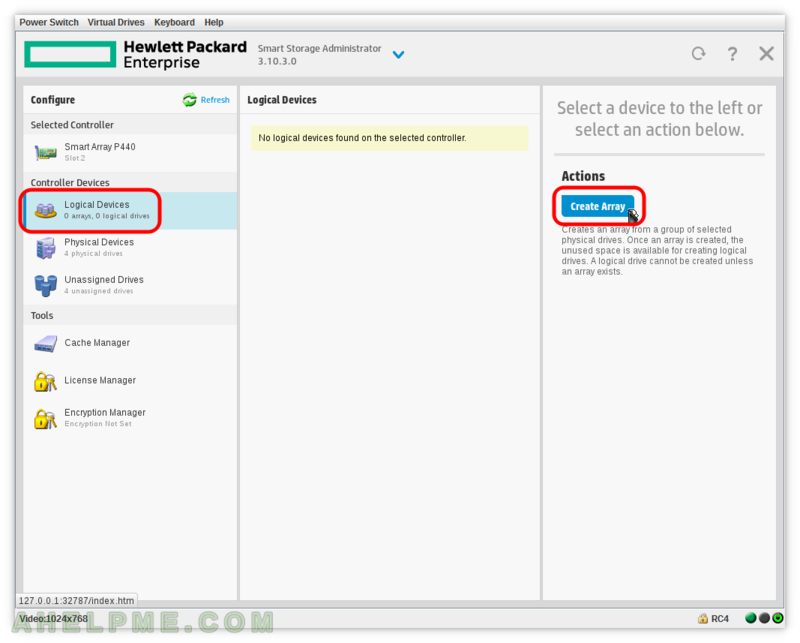 You can change to any available Strip Size on-the-fly without losing data!